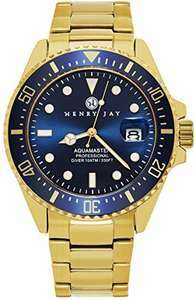 I was looking for some Great deals this weekend and I found that this watch had a massive price drop from £795.00 to £59.99!!! If you are looking for new accessories (watch), this deal will be good for you. It is not real gold but If you bite it its more than enough to break your teeth. P.S. Do not try this. I'm going to get a full frontal Lobotomy so I can make your dreams come true (ps I had to Bing Honey G to see how gorgeous it is).